If you are weak hearten please do not proceed with the video. 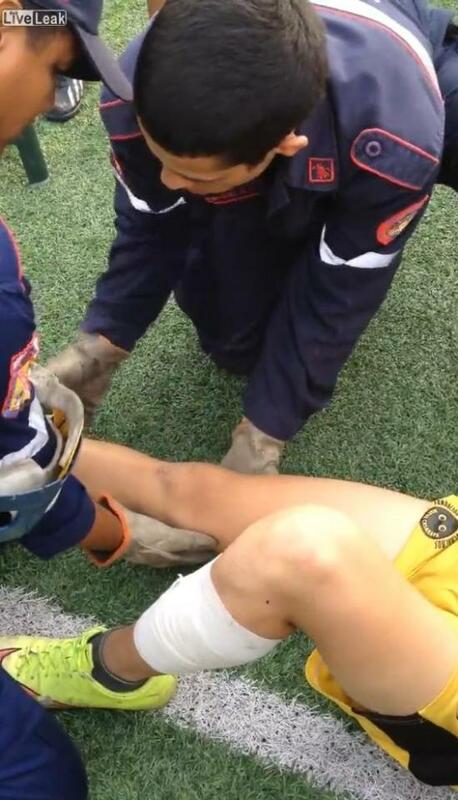 An amateur footballer reportedly from Venezuela had to be treated on the pitch after dislocating his knee. In the video the player is seen surrounded by a crowd as the paramedics try and calm. 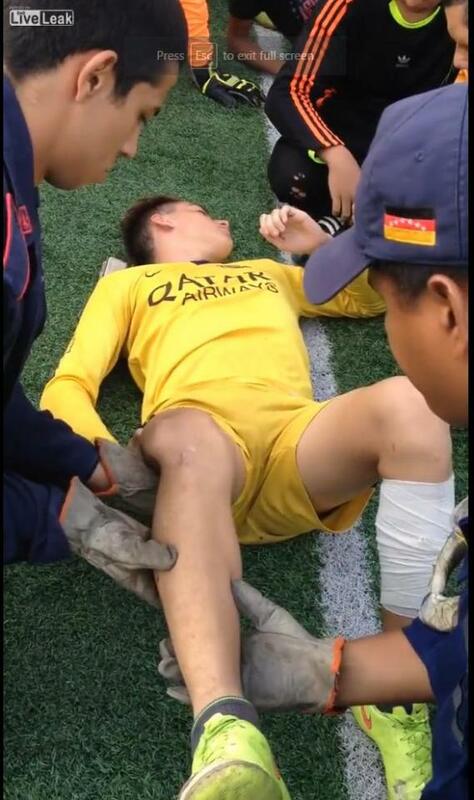 His right knee is clearly seen to be dislocated as they slowly lower his leg when suddenly his kneecap pops back to place. The player is is dismal pain before the kneecap gets back to it’s place and even after the emergency personal help fix it. 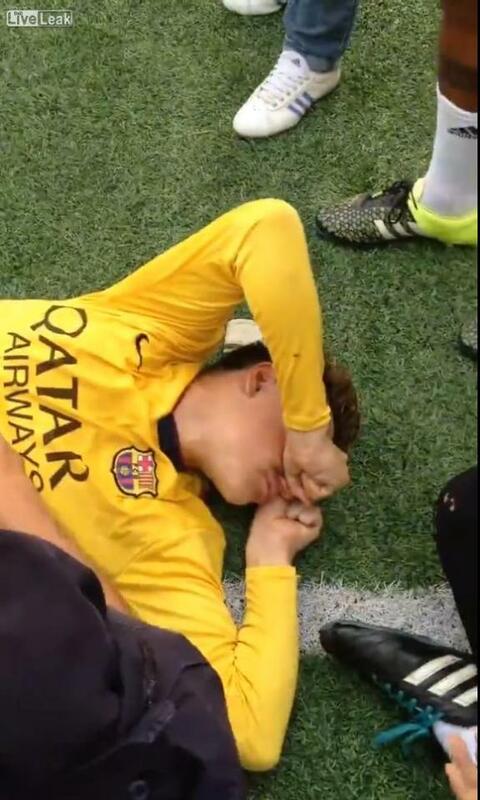 The injured player is covering his face with his hands in agony. The amateur star was out-of-action for over six-weeks even though his kneecap was put back in place right-away.